You have a money ceiling. We all do, and it's pretty easy to tell where yours is. Take a look at your finances. Do you consistently make the same amount of money every month. Do you have the same bank balance at the end of the month? If you said yes...that's your money ceiling! WHAT EXACTLY IS A “MONEY CEILING”? Money ceilings show up as situations in your life and business. They appear when you receive additional money and then something happens and you end up spending that money on an unexpected expense. This is why, statistically, lottery winners have spent or lost all of their winnings within 2 years, and many go bankrupt. It’s also why lots of wealthy people keep having major business failures before rising to success again and again. For years, my money ceiling was stuck at around 50K a year. That’s how much my husband earned (I was a stay-at-home mom, homeschooling my 2 oldest daughters) After my husband passed away, remarkably my income stayed exactly the same, within a couple thousand annually, between pension and social security survivor benefits plus what I earned as a part-time hair designer. So, I began working on my money mindset, beliefs, and healing. Very SLOOWWWLY my money ceiling began to rise. I deepened my healing work. I healed core blocks and beliefs around money, abundance and prosperity, and my money ceiling began to rise faster and faster. In just over 2 years, my business income increased by TENFOLD. In this 4-week program, I will show you how to do the exact processes I used to double my income in 90 days! I will be facilitating deep healing on your core money blocks and the beliefs that create your current money ceiling. You will begin to experience the energy of true abundance so you can immediately start to call in more income and money into your life and business. Week 1: Release Your Fears, Negative Beliefs & Patterns Around Money. Week 2: Create Pure, Magnetic Energy around Money. I will be unplugging you from the energy of LACK and into the energy of universal ABUNDANCE. You will experience a very unique process to energetically raise your money ceiling. Week 3: Create a New, High Level Wealth Consciousness. We will shift your personal programing around unworthiness, doubt, safety, security, procrastination, self- sabotage, the oaths, vows, contracts and even curses that you are holding energetically to struggle, suffer and experience poverty to create a powerful new level of wealth consciousness. Week 4: Discover The Unique Instant Manifesting Secret. You will step into your full power as a co-creator of your Money Reality and learn to take massive divinely guided action towards your money goals. I will be sharing an incredibly powerful manifesting secret I have been using and have never shared before- it works almost instantly! MONEY MAGIC is $1,500 in value but for a limited time, you can experience this intensive life-altering program for just $333! 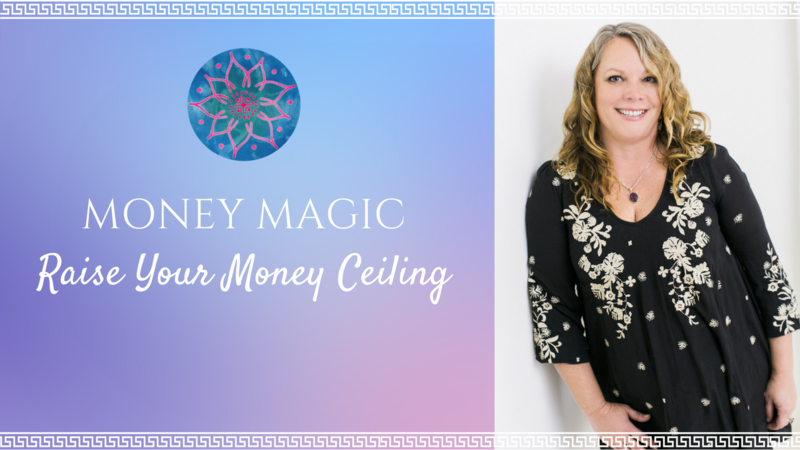 If you’re ready to raise the roof on your money ceiling and experience what it’s like to live knowing you experience true abundance and prosperity without limits, MONEY MAGIC is perfect for you!